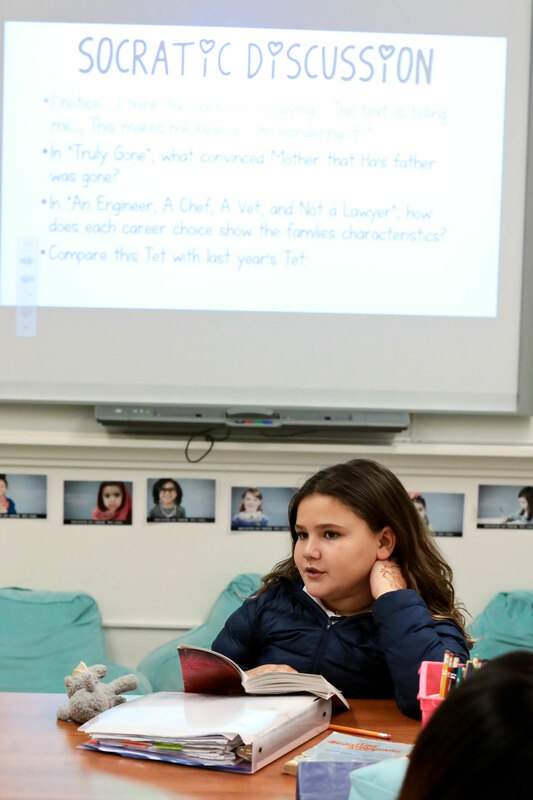 Walk into a Lower School language arts class at Westridge and you are likely to find the 9-12-year-olds so engrossed in a student-led book discussion that they don’t look up (editor’s note: the fifth grade students didn’t even notice our photographer!). 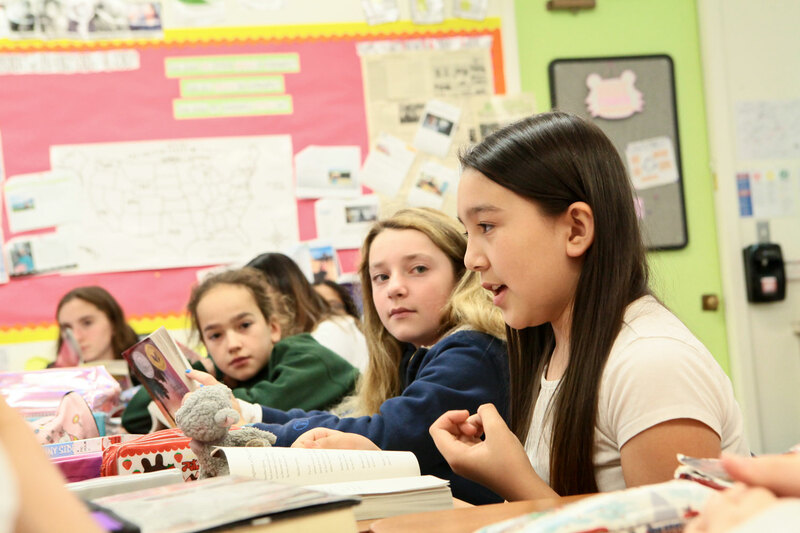 They are engaged in the Harkness Method, a variation of Socratic dialogue in which students play a central role in the discussion with the teacher serving as moderator when needed. Every student takes a turn asking and answering questions about books they are reading together in class (such as the recent The Witch of Blackbird Pond) learning reasoning and discussion skills in the process. Harkness was founded in the 1930s and is practiced in many college and upper school classrooms but is less common in lower grades. At Westridge, students have this experience in grades 4-12. Fifth grade teacher Amber Douglas Arbet ’01, who began incorporating the technique in her classroom eight years ago, finds that her students embrace this active form of learning. According to Arbet, this student-centered approach assures that students don’t simply repeat teacher’s ideas. Instead, every learner is expected to share, question, encourage, consider, and listen for the purpose of comprehension. She believes the Harkness method models the skills Westridge values, such as critical thinking, civil discourse, and collaboration. “And it helps everybody’s voice get heard in class,” added Saya G.